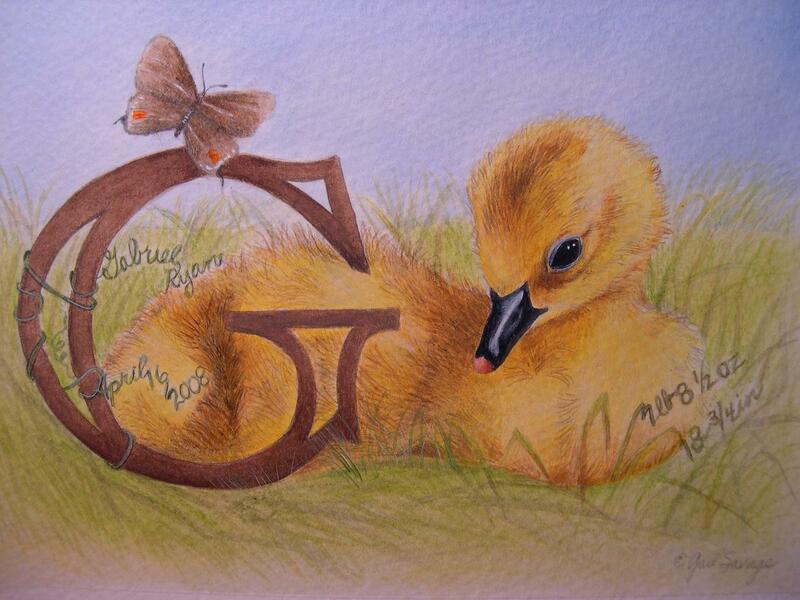 I love to do custom art to celebrate a birth or a birthday or as a sweet remembrance of those baby days. Each painting is done individually and customized for you; these are not prints. The designs are all original and are copyrighted. 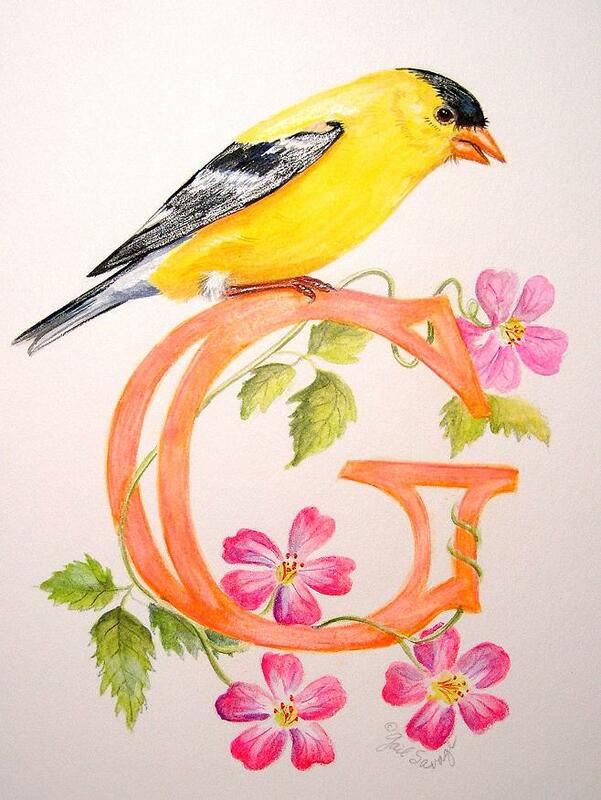 A sweet original watercolor painting especially for your little girl (or boy, done in blue). This painting is done on a 12"x24" back-stapled canvas so it can be hung if you like without framing at all. This is the recipient's own favorite Bunny and first baby clothing. If you send your own baby's clothing, socks, shoes etc I guarantee (as a sentimental mom of three) that they will be returned to you safely! Perfect for a new baby boy, this little raccoon will hold a ball with your child's first name and birth date. Image size 5x7", matted and framed to 8x10, $65. 140 lb.cold-pressed paper, mounted and matted and ready for you to pop into your own standard size 8"X10" frame. Priced at $35.00, a gift that your child will never outgrow.